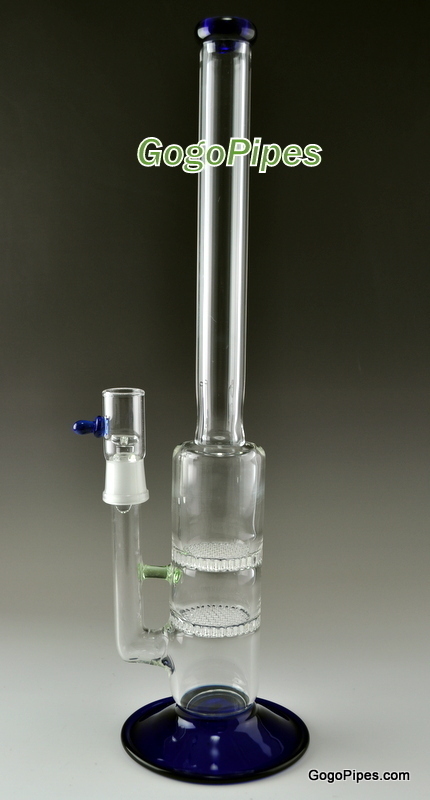 Pros: Love the water pipe, works great and is easy to clean and maintain. Gives a nice and smooth hit. Cons: GoGoPipes does not tell you what size bowl will fit the water pipe which is really annoying having to use the process of elimination to find the bowl size. Comments: The water pipe it self is awesome but i do think that gogopipes could give a little bit more information on it. The water pipe is slide less so finding the right bowl to fit it is quite the challenge since it is not listed. I just recently ordered a 14mm bowl for the water pipe and if it does fit then i will confirm that the bowl size for the pipe is.